International aid agencies and government forces are racing against time to help the hundreds of thousands affected by Cyclone Idai, VOA is reporting. 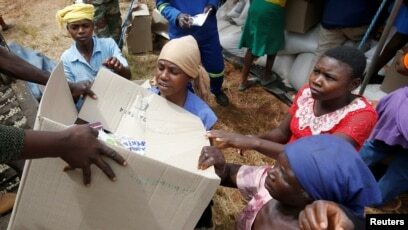 FILE - Victims of Cyclone Idai receive food aid at Siverstream Estates in Chipinge, Zimbabwe, March 24, 2019. 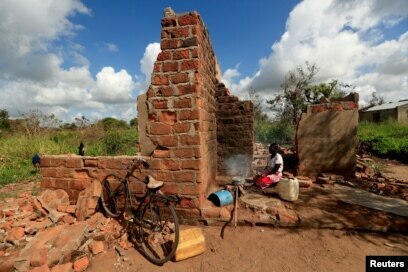 Ester Thoma cooks at her damaged house in the aftermath of Cyclone Idai, in the village of Cheia, which means "Flood" in Portuguese, near Beira, Mozambique April 1, 2019.